Editor’s Note: this article was edited by OPNoobs staff for neutrality. Hades Betrayal Available Now for the Steam Free to Play. 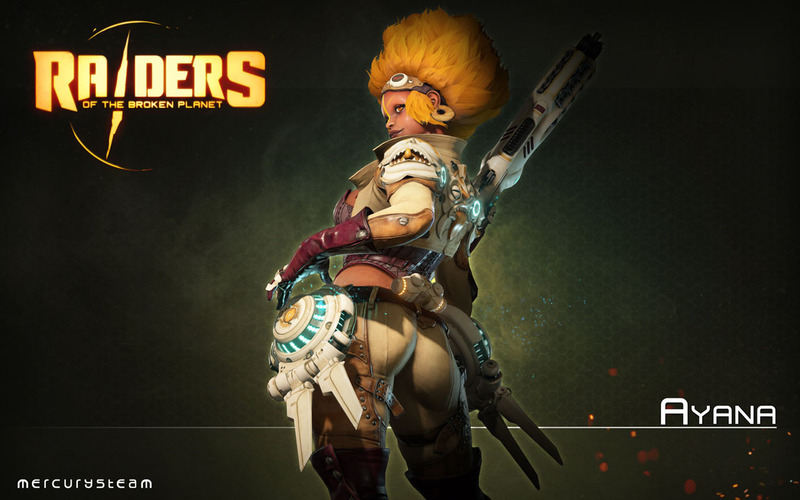 Third Premium Campaign to bring a "complete redesign, radically changing the way fans play Raiders of the Broken Planet." STRAIGHT FROM THE DEVS: San Sebastian de los Reyes, Spain - April 4, 2018 - Independent studio MercurySteam today announced that Hades Betrayal, the third premium campaign for Raiders of the Broken Planet, is available now for PC. Hades Betrayal includes four new epic story missions, playable in single-player, 4 player co-op or the intense 4 v 1 Antagonist mode, and a new character, the privateer Ayana. In this story arc, the Raiders will face the might of the Hades Division, the most powerful military organization in the galaxy led by General Krausher. Harec and his Raiders must struggle to convince Ayana to betray the Hades Division and join the Raiders if they want to have a chance to prevent General Krausher from deploying a doomsday weapon that will tip the balance of power on the Broken Planet in his favor. Hades Betrayal’s launch comes accompanied by a major overhaul to the Raiders of the Broken Planet’s progression and reward system, along with a visual redesign and inclusion of many new game features. Players will now be able to rank up to unlock new rewards, and with the new Forge system they can customize weapons obtained during the missions. Watch Enric Álvarez explaining Raiders of the Broken Planet's new progression system here. Raiders of the Broken Planet is available now on Steam, the Xbox Store –Xbox One & Windows10- and the PlayStation Store. The free Eternal Soldier campaign contains two missions, seven characters and sets the stage for the story to follow. Its third campaign, Hades Betrayal, is now available to purchase for €/$/£9.99 and includes the noble Ayana Kwena as an exclusive character. 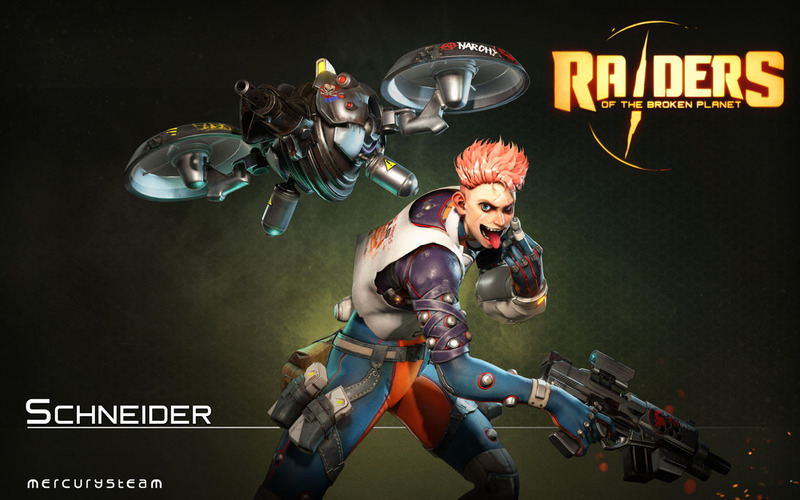 Visit Raiders of the Broken Planet’s official website. Raiders of the Broken Planet is a take on the shooter genre. Through its 4 vs 1 counter-operative campaign, you experience both sides of the story: Join the Raiders in their fight to free the legendary Broken Planet, or become The Antagonist: Switch sides and fight the Raiders on your own alongside the invading hordes! MercurySteam is the independent development studio behind Castlevania: Lords of Shadow series and Metroid: Samus Returns. Their latest title is their first self-published game, Raiders of the Broken Planet. Based in Madrid, Spain - MercurySteam’s mission is to create the best possible game experiences for players around the world. AAA or indie, big or small, OPNoobs is looking for quality games made by talented people. It’s not about marketing budget or Twitch numbers, we bring you updates straight from the developers of the games you’re playing. We provide an unfiltered voice from inside the gaming industry. Anything published in OPN’s Straight From The Devs series is just that, and we hope our readers feel that this narrows the gap between them and the industry they follow so closely.